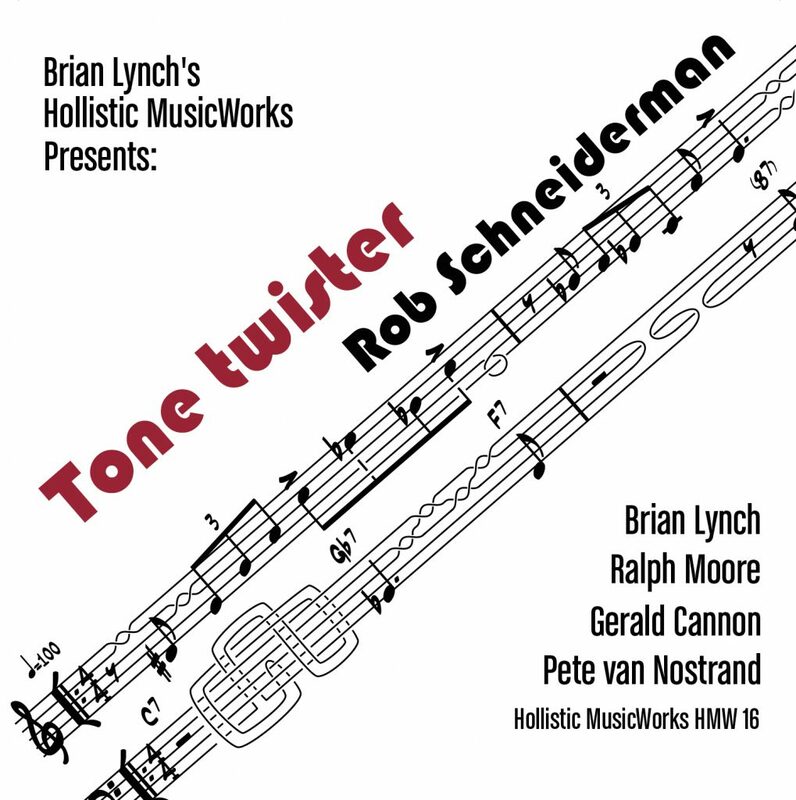 “For his first new studio effort in over a decade, pianist composer/mathematician Rob Schneiderman has taken on the role as a Tone Twister (HollisticMusicworks). Backed by a terrific front line of Brian Lynch on trumpet and Ralph Moore on tenor saxophone, augmented by drummer Peter van Nostrand and bassist Gerald Cannon, Schneiderman performs nine originals plus the 1952 Nat King Cole hit, “Unforgettable”. A veteran in the 1980s bands of James Moody, JJ Johnson and Art Farmer, Schneiderman will be the first to tell you that he’s an old road dog who has performed in such exotic locales as Brazil and Indonesia.